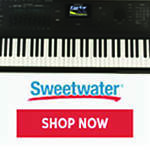 Register Log In Piano World Home Page Forums Digital Pianos - Electronic Pianos - Synths & Keyboards What's Polyphony? "Play from the heart, practice from the head"
There are several different meanings depending on what you wish to describe. Since you're posting in a digital sub-forum I think it's safe to assume you're talking about polyphony as it deals with digital pianos. Polyphony is simply the amount of numerical values (not notes) the piano can produce at the same time. For each given sample (piano, strings, synths/leads, et al) each one of the keys will have a certain numerical value attached to it when you strike it; I say value and not key/note because for some stereo (two-channel) samples, striking one key can use two or more values. Digital pianos with 32-note polyphony can only sound 32 values at the same time and they will begin to cut notes (usually on a first-in first out basis) once that threshold is reached. It's pretty easy to reach the 32-note threshold if you're layering voices--the most popular being piano/strings--and you are doing big runs with the sustain pedal or if you're playing large dense chords in succession, again with the pedal. The pedal is important because when you cycle it, you're essentially refreshing the polyphony; but you should note that as long as you're holding it down, the values of any keys you're holding down or you've struck/released after the pedal will use polyphony until it is released. As I said in another thread, polyphony isn't usually important to beginners, but once you start progressing you'll start to notice it more and more if you're playing an instrument with 32-note polyphony or lower. Every brand/model of electronic keyboard these days has a maximum number of sounds (proper term is voice) that it can produce simultaneously. Polyphony is the total number of individual voices an instrument can produce at any given time. Once the limit is reached, any held notes will be stopped so newly played keys can produce sound. As an example, if you select a preset that produces a layered sound of a piano and string ensemble sound and play one key, two voices are being used, one for the piano sound and another for the string sound. So in this case, an instrument offering 64 voices of polyphony would continue to produce sound until 32 keys have been played (either being physically held down or by using the sustain pedal). Some keyboards feature stereo samples of pianos and other instruments. In these cases, it is important to realize that even though you may have only one sound selected, two voices are still being used because stereo sample consists of two samples, one for the left channel and one for the right channel and remember a single voice can only produce a single sound/sample. With all this in mind, a 128 note polyphony keyboard playing a stereo sampled piano that is layered with a string sound is going to actually be able to produce no more that 41 notes simultaneously. And many times sound programmers will use more that one voice when creating string sounds so there is a high probability that the 128 voices could actually be divided by 4 giving you a total of 32 keys that can produce sound at the same time. Simply put, polyphony is the total number of simultaneous voices a synth can play. As geek describes above, in performance this number is depends on a few factors. The easiest thing to remember about polyphony is that more is better: 128 is better than 64.
piano, the polyphony spec is irrelevant. 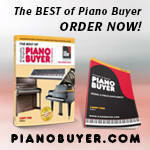 starting to become popular, and it had "only"
my new digital piano with 64 note polyphony. than the 64 note grand piano. What model do you own? Yesterday we took delivery of a Kawai CP175 - a 128 note polyphony instrument. After playing with it for a while, our pianist started complaining that her notes weren't sustaining long enough and could I adjust the sustain length. What I found was that she has 4 layers going - Kawai EX Concert Grand, a string section, a flute solo, and something called Whistlers on the left section. The Concert Grand sound is a stereo sound, as is the string section. 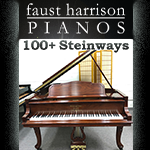 With all these going at once, it would cut out the sustaining notes of the piano when she played fast selections. To fix it, I turned off the Whistlers layer, which allowed everything to sustain properly. I could also have changed the Concert Grand sound to a non stereo piano sound and that probably whould have fixed it as well. Had we opted for the new CP177, with 196 note polyphony, she would not have run into this situation. "polyphony" is also (along with its opposite, "homophony," and the rather specialized word "polyomino" - a multiple type of domino) the longest word one can type on the qwerty keyboard with the right hand alone, excepting such fanciful unused words as "monokimono" and "polymillion." I'm waiting to be corrected here, folks. The only name of a state that can be typed with the right hand is OHIO.